We love science in our house. Okay, to be honest, I never cared much for science through high school. I didn’t mind biology but when it came to general science, chemistry, or physics, I just didn’t get it. Until my son. My six year old has been interested in science since he was three. To him, it’s all fascinating. Astronomy, botany, anatomy, chemistry, geology, and even physics. Everything is about physics right now. Even his bedtime stories have to be about physics. Last night we studied quarks. A few months ago I wouldn’t have even known what a quark was, or that there was anything smaller than an atom. 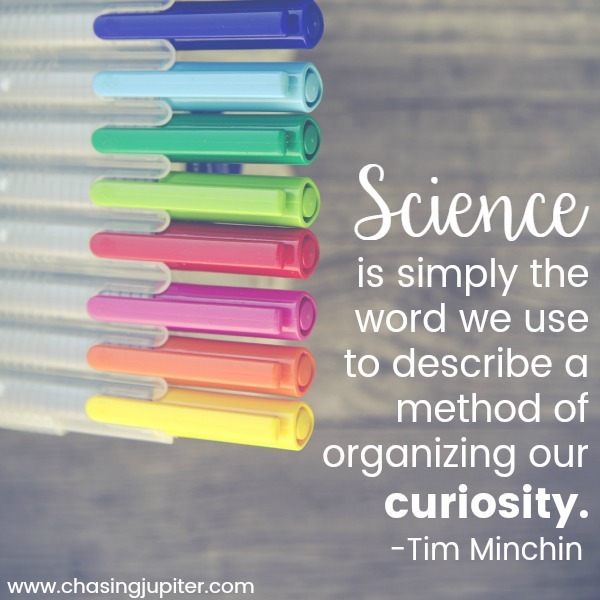 Homeschooling my son is not an easy task, but when it comes to science, both of us have learned more than I ever did through high school. And I have to admit, I’m thoroughly enjoying it. So last month when my son was given an opportunity to participate in a science fair, I thought it was perfect! It seemed only natural that my science kid would be interested in a science fair. As we soon discovered, preparing for a science fair is MUCH different than studying whatever question pops into his head throughout the day. Anyways, we signed up right away. Full of excitement and energy for the days ahead. Ah… I was so much younger then. Stage 1: This is gonna be fun or “denial”. My kid LOVES science. This will be such a good experience for him. The first few days going through questions and project ideas, talking about experiments, drawing diagrams, making lists… it was great! We can do this in four weeks. We have PLENTY of time. Plus I’m sure my husband will have a few days off between now and then to work on the project with him. What a perfect end to the school year. Stage 2: What have we gotten ourselves into? Shortly after the initial energy of agreeing to participate, reality begins to set in. You’re reminded that your child has many gifts, and focus is not one of them. To paint a picture, I imagine getting my child to focus on a single project for more than ten minutes would be similar to taking a puppy into a room full of squirrels and getting that, untrained little puppy to focus on a tennis ball. Now add three weeks to that ten minutes. Sure the experiments are fun. Documenting them, not so much. Bargain, beg, bribe… whatever you want to call it, this is stage three. It’s no longer fun. You’ll do anything just to convince your child to work on their display board and the models. Just finish one sentence and we’ll stop for a snack. Take the pencils out of your nose. Can you color in one picture? Please stop gluing your fingers together. You can stay up past your bedtime if you just write your name. Stage 4: Hope followed by crushing defeat. Things started picking up those last few days. We were in the home stretch or so I thought. Hope had emerged that it was finally coming together. A few days before the fair we were making more progress than ever. Suddenly he uttered those infamous words. I didn’t know it at the time, but it was all over. 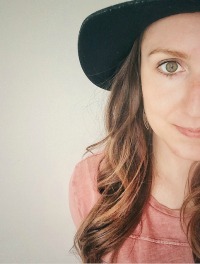 When he came back downstairs, giggling like a hyena, his underwear on his head, and his face contorted into something out of a Picasso painting, I knew I had lost him. You know what, let’s skip the atom model. Who needs a first draft? It looks fine the way it is. You want to change your project title again? Oh, you mean change the entire project from electrolysis to static electricity? Sure you can finish writing that out the day of the science fair. Do whatever you want, little man. I’m going to get a bath, don’t knock unless someone is dying. 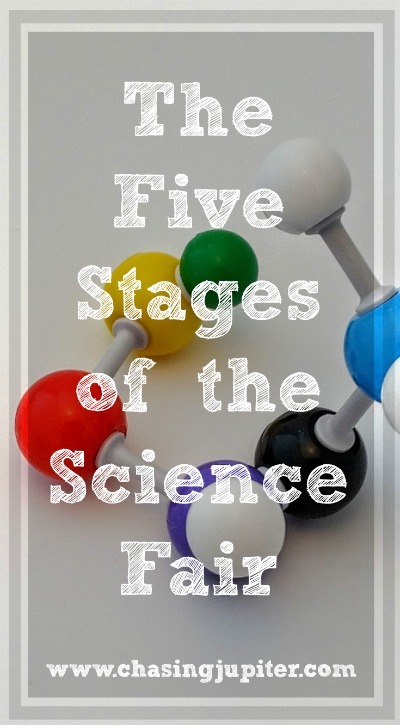 Stage 5: The science fair. And just like that, it’s over. Somehow, against all odds, every page, diagram, and model is complete and set up on the table. Especially after the mad rush to get your child to complete that last page one hour before it began… Despite the conversation on the way there it turns out he actually did know a thing or two about static electricity. The prizes have been given out. Everyone is exhausted. The car is packed. After it is all said and done, it was worth it. He did his best and had the opportunity to step outside his comfort zone for something he is passionate about. The judges were wonderful, understanding, and such an encouragement. When he couldn’t talk the first time around they came back later when most of the others had left the area to eat their lunch. His eyes lit up as he explained electrons and atoms, static electricity, and showed them how to play the game he had made. The science fair gave him the opportunity to be proud of the hard work he had done. He is already discussing his plans for the next project. I, however, am thankful the science fair only comes once a year. 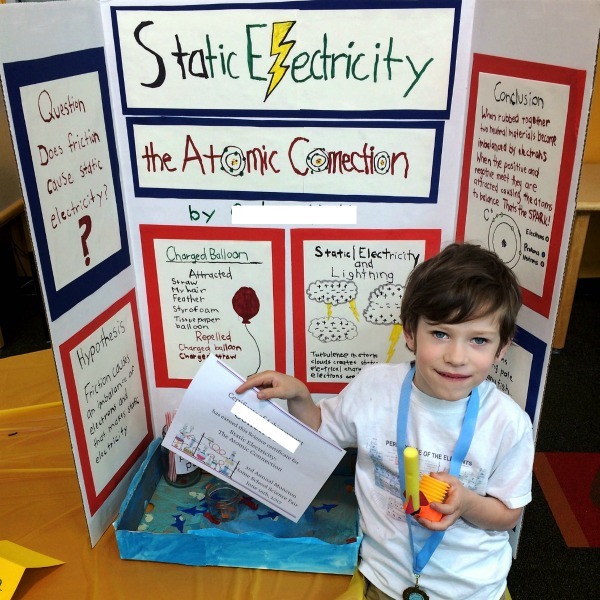 Did your kids participate in a science fair this year? What was their project?